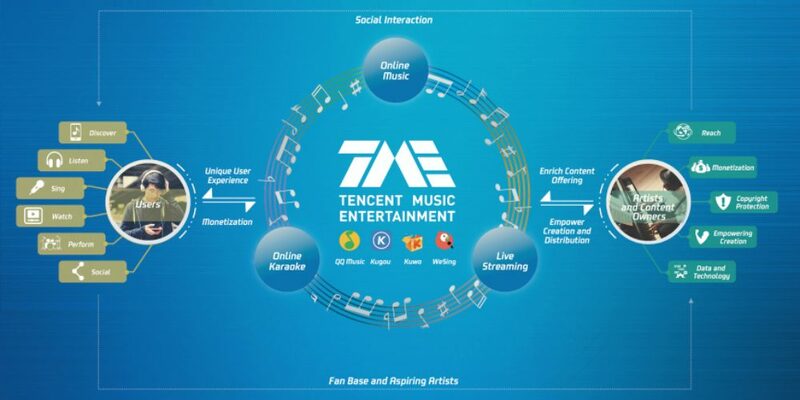 Tencent Music published its filing to go public last night. We’ve been filleting the document to pull out some of the most interesting data and strategic titbits on the Chinese digital-music company. Tencent Music’s total revenues were RMB 10.98bn in 2017 (that’s $1.66bn) having grown by 151.8% year-on-year. The company recorded a net profit of $199m in 2017. Meanwhile, in the first half of 2018, its revenues grew by 92% year-on-year to $1.3bn, while its net profit was $263m. The company claims more than 800 million unique monthly active users (MAUs) across its four biggest products: streaming services QQ Music, Kugou Music and Kuwo Music, and karaoke app WeSing. Tencent Music grew its number of paying music customers from 16.6 million at the end of Q2 2017 to 23.3 million at the end of Q2 this year. That helped it grow its quarterly streaming-subscription revenues from $62.9m to $88m in the same period. This is the biggest news to come out of the IPO filing. In 2017, the company generated $476m of revenues from the 644 million users of its online music services, and $1.18bn from the 228 million users of its ‘social entertainment’ services – WeSing karaoke and its livestreaming-video apps. The latter category was thus 71.3% of Tencent Music’s revenues that year – and 70.4% in the first half of 2018. Both categories are growing fast though: they were up by 92.2% and 87.2% respectively in the first half of 2018. Tencent Music makes an average of $1.27 per month from each of its paying online-music customers, but $16.27 per month from each of its (9.2 million) paying social-entertainment customers, thanks to sales of virtual gifts and premium WeSign memberships. There are some figures in the filing for the wider Chinese market from research company iResearch that build on this picture. iResearch claims that the Chinese online-music market generated $640.5m of revenue in 2017, while ‘online karaoke and music-centric live streaming’ services in China generated $3.2bn that year – five times as many revenues. The 23.3 million subscribers at the end of June represented just 3.8% of its online-music users, which the company admits is “still very low compared to online games and video services in China”. Later in the filing, there are numbers for that comparison: 22.5% of online-video users in China pay, while 14.1% of gamers do. Tencent Music sees this as proof that for music there is “significant growth potential” in the coming years. Warner Music Group (through its Chinese subsidiary) and Sony Music have bought $200m of shares in Tencent Music between them, in a deal that closed on 1 October. While some of Sony’s stock can be sold either six months after the IPO or after 1 April 2019 – whichever is sooner – the rest of the shares will be locked up until three years after the IPO, or 1 October 2021. 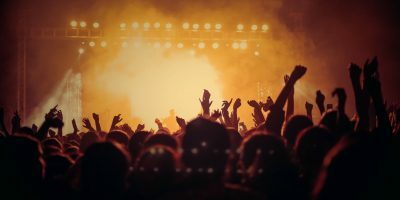 “We believe that such transactions will help deepen our strategic cooperation with our major music label partners and better align our interests with theirs to create long-term value for our users and shareholders,” said Tencent. “We launched the ‘Tencent Musician Program’ in 2017, an online service for selected aspiring artists to upload original music content to our platform that can be streamed and downloaded by users on our platform,” explains the filing. It also talks about some of the success stories for singers discovered on its karaoke and livestreaming services. Ai Chen, meanwhile, was found on WeSing, and has since released three digital albums on Tencent Music’s services. He sold more than 100k copies of his debut album within an hour of release on WeSing, and 300k within 24 hours. Tencent Music has committed to minimum guarantees of RMB 1.82bn ($265.1m) by the end of 2018, and another RMB 3.1bn ($451.6m) by the end of 2019 or thereafter – $716.7m in total. The topic of MGs and advance payments is a juicy one: there has been speculation about how much of the money being paid to labels is focused on these one-off payments for entire catalogues, rather than per-stream royalties for streams of the music itself. Tencent Music says it will spend around 40% of the money raised from going public to expand its music catalogue – “improve the variety, quality and quantity of content on our platform” as it puts it – and 30% on product and service development. A further 15% will be spent on sales and marketing, and 15% reserved for strategic investments, acquisitions and ‘general corporate purposes’. If the IPO raises $2bn as has been rumoured, that’s a potential $300m war-chest for acquisitions and investments. On a related note, there’s the admission that not all of Tencent Music’s catalogue is fully licensed. “As of June 30, 2018, we offered over 20 million tracks on our platform, and we had licenses to both the music publishing and musical recording rights for approximately 85% of those tracks,” explained the company, while stressing it continues to seek licences for the remaining 15%.